Infidelity private investigator services in & around Houston TX. We specialize in catching cheating husbands, cheating wives, & cheating partners. Because, 85% of those that suspect cheating, turn out to be correct. We get answers for you. And, we deliver the proof! Finally, everything is 100% confidential & most investigations are completed in two weeks or less. So, call AMS Investigations today, (281) 812-9799. A private investigator is a detective that is hired directly by an individual to undertake a thorough investigation into a matter. Usually these matters are civil cases related to infidelity, child custody, domestic abuse, or other family type cases. Oftentimes, the person who hires a private investigator is going to be an attorney representing their client. However, most people contact us before hiring an attorney. For example, let’s say a wife believes her husband is cheating. And she wants to confirm it is in fact happening & get proof. 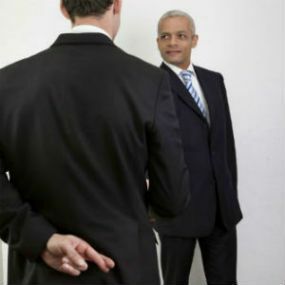 Therefore, the wife, or the wife’s attorney, will hire the services of a private investigator to get the facts. And the proof. This could be photographs of the husband and his lover, or any other evidence which proves the case. AMS Investigations is a BBB A+ Accredited private investigations company. Because we specialize in matters involving adultery, divorce, infidelity and child custody. And because our detectives are experts in surveillance, GPS vehicle tracking, and catching Cheaters. Strange phone calls & credit card statements raise suspicion… click on the photo to read about the case. Wedding was getting close & something was not right, so she called AMS Investigations… Click on photo to see the outcome. Surveillance was needed when a Woodlands business man travel increased… Click on the photo to see what we found out. Private investigators don’t only handle missing person cases. In addition, there are situations where individuals will hire a PI to investigate something related to infidelity. And, these kinds of investigations include cheating husbands, wives, or partners. Unfortunately, a traditional private investigator will not have the time to thoroughly investigate each case that is brought to them. Infidelity cases are a prime example of this. Often, they will dismiss them as people who are acting on a hunch. So, without substantial evidence, they will not dig deep into an investigation. Because there are too many other easier to solve cases. And because they don’t have the experience, or expertise in working cheater cases. AMS Private Investigator Service specializes in infidelity cases. We have the experience, & skills needed to solve even the most difficult cases. So, call AMS Investigations today & get the answers you deserve, (281) 812-9799.